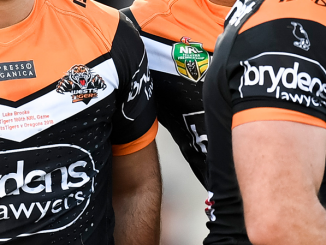 Joel and Eddie are back with the latest Wests Tigers Podcast as we head into February with less than six weeks until the start of season 2019. In Part One the boys discuss the Club’s appeal against the NRL’s sanctions, including the future of CEO Justin Pascoe. They also touch on Esan Marsters being named in the NRL All Stars team, plus some rumours from the training paddock with Benji Marshall suffering a hamstring injury and the battle between Robbie Farah and Jacob Liddle for the Number 9 jersey, and how they see that shaping up. In Part Two the boys discuss some questions and topics from the new look Wests Tigers Forum, including will Madge have a favourite or pet player? Plus a variety of responses to the home grounds’ debate. The guys look into the overall membership numbers of each NRL Clubs – the over achievers, under achievers, and whether these numbers are legitimate? They also name our Top 5 and Worst 5 current NRL coaches, and how new coach Michael Maguire fits into that mix.